Do you need an affordable plumbing, air conditioning, and heating company in Fanwood, NJ? Rite Rate has been servicing the North NJ area for many years and guarantees 100% customer satisfaction. Our plumbers and technicians are fully licensed and highly-skilled in all commercial and residential HVAC and plumbing systems. We offer pocket-friendly installations, repairs, maintenance, and replacements. Does your boiler or furnace randomly shut itself off or isn’t working? Is your water heater not heating the water for your sinks and shower? Don’t worry! 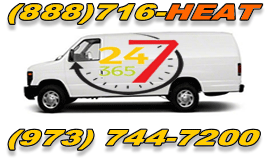 Call Rite Rate for 24/7 emergency heating repair in Fanwood, NJ! We’ll get to the bottom of the issue and fix your heater in no time. If your current heater is outdated and your utility bills are too high, we can replace any of its parts or the unit itself. We’ll also help you choose the right heater for your home or business and install it for you. Rite Rate is a heating company in Fanwood, NJ dedicated to providing you with the best heating services. Do you need a new air conditioner for your home or business? Is the central air conditioner not working? Do you notice an increase in your utility bills since you started using your AC? Rite Rate is the preferred air conditioning company in Fanwood, NJ because we offer installations, repairs, and replacements. We can fix, install, and maintain heat pumps, central air conditioning, packaged air, ductless air conditioners and much more! Is your toilet clogged and flooding the bathroom? Is your kitchen sink or faucet leaking? Regardless of whatever problem you have with your plumbing, Rite Rate is here 24/7. We offer pocket-friendly plumbing repairs, installations, and replacements. Our plumbers can handle any clog, broken pipe, leak, as well as the sewer and drain cleaning. For affordable plumbing installation, efficient AC replacement, or heating repair in Fanwood, NJ call Rite Rate!